Everyone gets everything he wants. I wanted a video game, and for my sins, they gave me one. Here’s the weirdest bit of gaming news I’ve seen in a while: Francis Ford Coppola’s film studio American Zoetrope is making a video game. 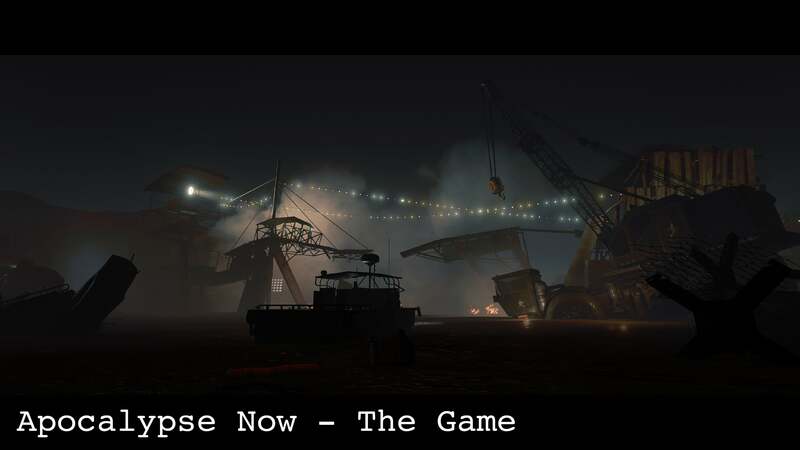 Weirder: It’s a video game based on Coppola’s classic 1979 film Apocalypse Now. Now, a slow meditation on America’s part in the Vietnam War, consisting primarily of shots where a boat slowly churns up the Mekong River, doesn’t seem like great fodder for a video game. And usually I’d agree, except Coppola’s got a who’s-who of industry talent working on this thing. The press release mentions by name Lawrence Liberty, who was lead producer on Fallout: New Vegas, as well as Rob Auten, who co-wrote Gears of War: Judgment. Even more interesting is the inclusion of Obsidian’s Josh Sawyer (lead designer on Fallout: New Vegas and Pillars of Eternity) in some sort of advisory capacity. The extent of that role, I have no idea, but whenever someone starts throwing his name around I take notice. Anyway, the game’s not expected to launch until 2020. As you’ve probably guessed, the game’s being announced now because American Zoetrope’s hoping to fund it with a Kickstarter campaign. The team’s asking for $900,000, though there’s surprisingly little actual game footage to be seen so far. Given people’s tepid reaction to Kickstarter campaigns nowadays it’s a bit worrisome, though maybe the Apocalypse Now name will carry it through. If you’re interested, you have from now until February 23 to toss in some cash.